To purchase DVDS from this website, simply scroll through the titles pressing the "add to cart" button for the items you wish to purchase. This will take you to an order page where you can complete your purchase or return to the website if you have not finished browsing. When complete, go to the "view cart" button on the top right of the page and this will allow you to complete your purchase. Feel free to contact me if you have further questions using the "contact me" box on the top right of the page. All DVD's are PAL Region 2. 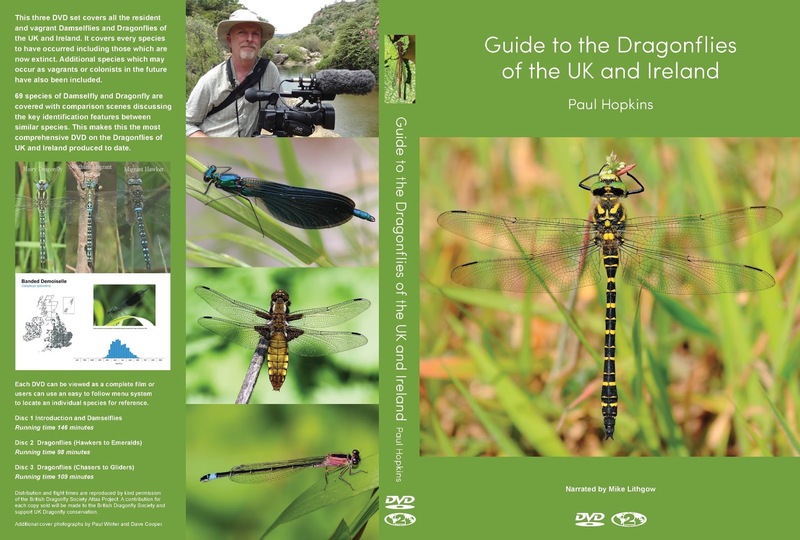 Covering every species of Dragonfly and Damselfly that has ever occurred within the UK and Ireland. Also includes potential new vagrant or colonists. Simply the most comprehensive DVD set on UK and Ireland Dragonflies ever produced. 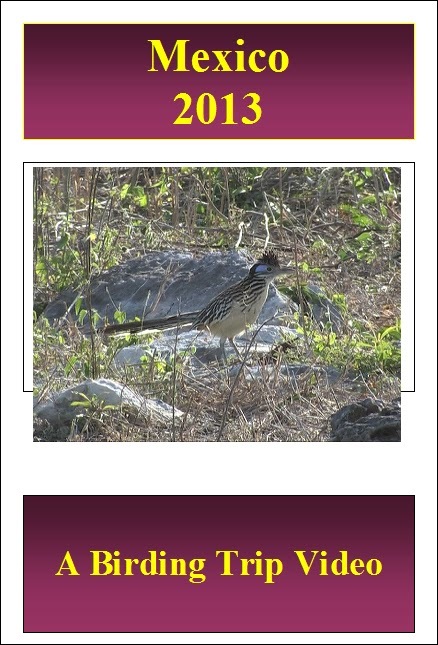 This dvd covers a two week trip to the Yucatan Peninsula of Mexico in February 2013. 7 days at Tulum, about two hours south of Cancun, with trips to Coba, Sian Kaan and Muyil. 2 days at Rio Lagartos on the north side of the Peninsula. Millykoski rapids, Katejaneva Toivaka, Pikku Sorlampi and Sarkkaniemi. 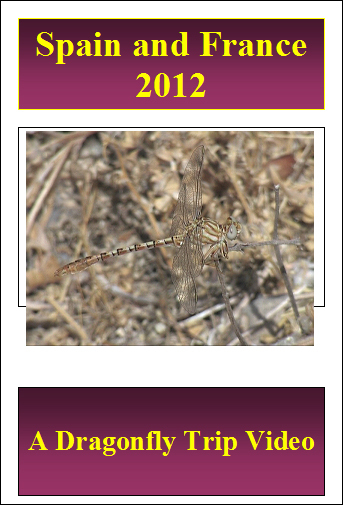 This DVD contains the highlights of a dragonfly trip to Spain and France in June 2012. Areas visited in Spain included Extremadura, Andalucía, Valencia and Catalunya. In France we visited the Cele Valley, La Brenne and the Coastal Marshes in Pays de Loire. The trip recorded 59 species in two weeks. The majority of these are included on this DVD. This DVD contains the highlights of a birding trip to New Zealand from the 25th October to the 18th of November 2011. 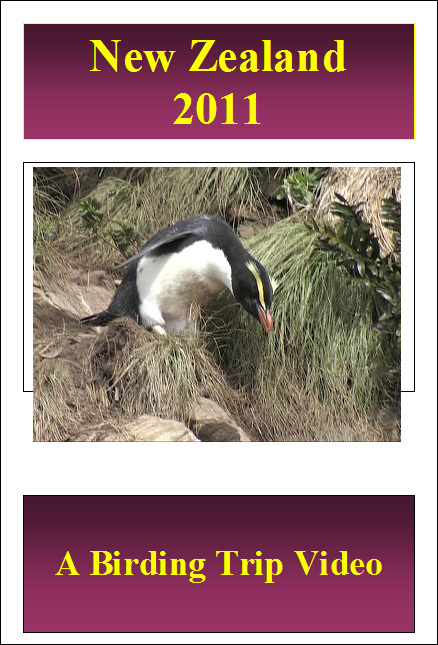 The trip included North Island, South Island and Stewart Island. 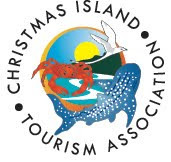 The footage includes 3 separate pelagic trips and visits 3 different predator free islands. Most of the available endemic bird species are featured on this DVD. 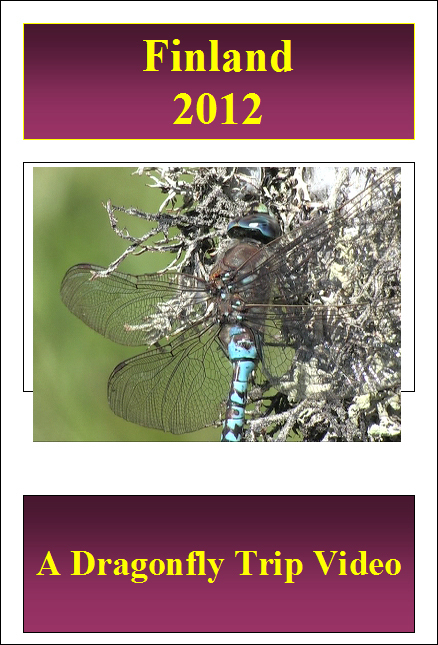 This double DVD contains the highlights of a 4 week trip to South Africa in November 2010. The trip was split into two legs. 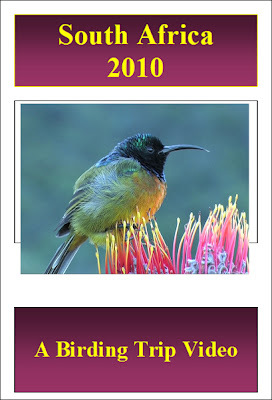 Firstly, the Western Cape, covering the Cape Town area (including a pelagic trip), the West Coast National Park, The Overberg, Tanqua Karoo and Bushmansland. The second part of the trip covered the eastern areas of Wakkerstroom, Nelspruit, Magoebaskloof, Kruger National Park, Mkhuze, St Lucia, Eshowe and finally Creighton and the Sani Pass into Lesotho. The trip recorded 470 species of which 295 (including 78 endemic or near endemics) are included on this DVD. 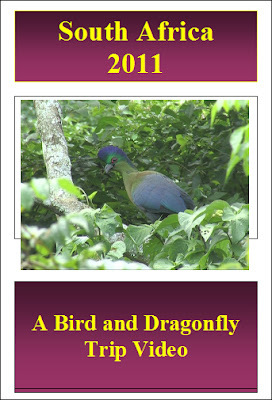 This DVD contains the highlights of a two week trip to Peninsular Malaysia in September 2009. The trip covered Frasers Hill, the west coast resorts of Damai Laut and Pangkor Island, Taman Negara and Kuala Selangor. 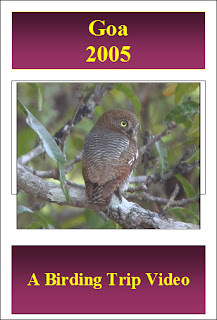 This DVD contains the highlights of a week spent on Christmas Island in September 2009. 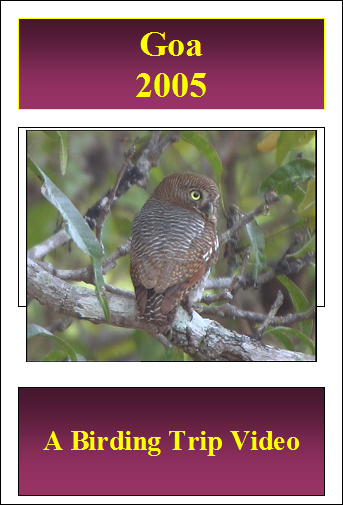 It contains footage of all the Christmas Island endemic bird species and sub-species with the exception of abundant Christmas Island Glossy Swiftlet. This wonderful island, located in the Indian Ocean, 2600 km northwest of Perth and 500 km south of Jakarta, is a home to numerous breeding seabirds. Our visit was an extension to a Peninsula Malaysia trip. 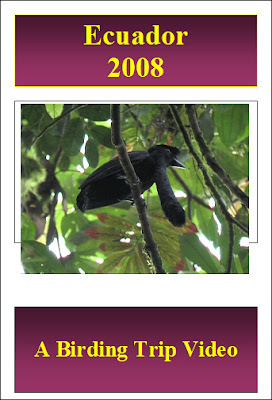 This Double DVD set contains the highlights of a 4 week birding trip to Ecuador in July and August 2008. The trip focused on the North of the country covering the Western Andean Slope and North Western Lowlands, Guandera in the Far North, the Eastern Andean Slope and the Eastern Lowlands. This dvd contains the highlights of a three week trip to Thailand from 10th February to 1st March 2008. The trip covered the National Parks of Khao Sam Roi Yot and Kaeng Krachen on the gulf coast of Central Thailand. The gulf coast wader hotspot of Ban Pak Thale was also visited for the awesome Spoon billed Sandpiper. We then flew down to Krabi in Southern peninsula Thailand, our base for visiting Khao Nor Chuchi in search of Gurney’s Pitta. This double dvd contains the highlights of a three week long birding trip to South Eastern and Central Peru from 27th August until 16th September 2006. 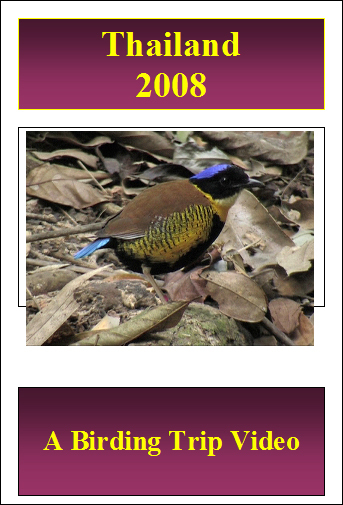 An enormous total of 762 species were recorded, of which 40 were heard only, 24 were endemics and 47 near-endemics. Pucusana, San Pedro beach and Villa marshes. The following video link shows the opening titles froms parts 1 and 2 of the above trip DVD. 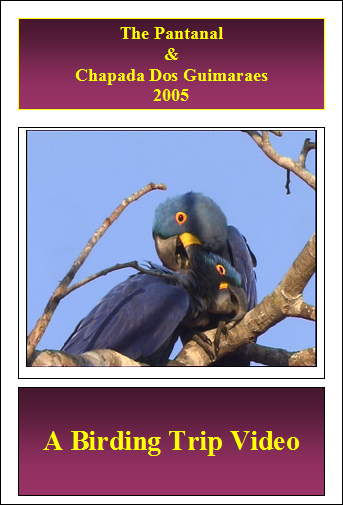 This DVD contains the highlights of a week long birding trip to The Pantanal and Chapada Dos Guimaraes areas of Matto Grosso in Brazil. The trip was planned as a pre-trip extension to a further three weeks in Amazonia. The Pantanal is one of the largest seasonally flooded wetlands in the world and holds an impressive diversity and density of birdlife, mammals and reptiles. Access to the Pantanal is along a single gravel road called the Transpantaneira. Our visit was timed to coincide with the dry season when the water levels are low. The water that remains by the Transpantaneira attracts large concentrations of birds. The second part of the trip concentrated on the dry cerrado and forest habitat which surrounds the magnificent escarpment at Chapada Dos Guimaraes. The following link shows the opening titles of the DVD. 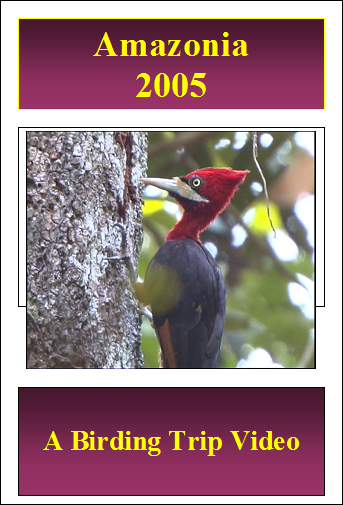 This double dvd contains the highlights of a birding trip to Amazonian Brazil from the 24th July to August 13th 2005. The trip concluded with a day at the Aghulas Negras road in Itatiaia National Park to look for some South East Brazilian endemics. 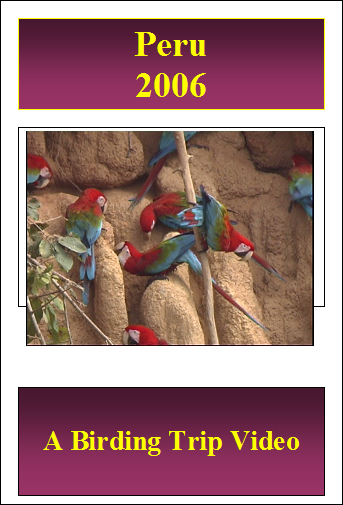 This dvd contains the highlights of a two week trip to Goa from 26th March to 8th April 2005. 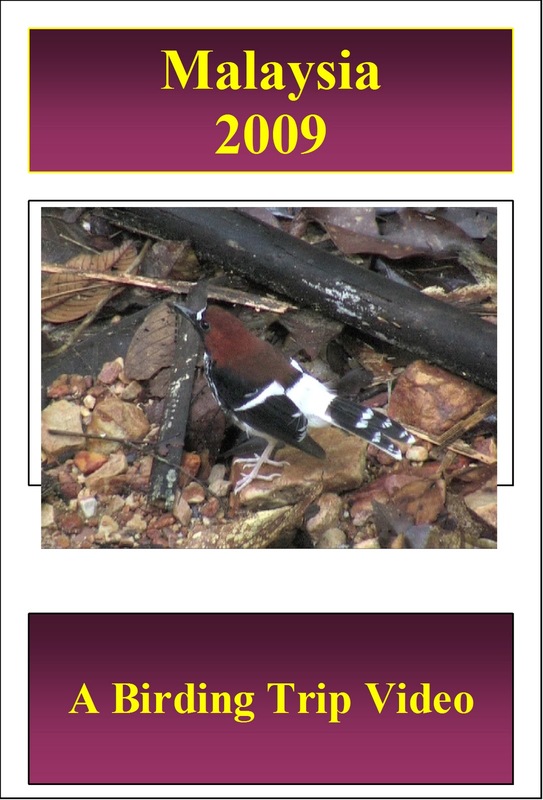 Most Birders tend to visit Goa in winter when the numbers of birds are supplemented by wintering species. 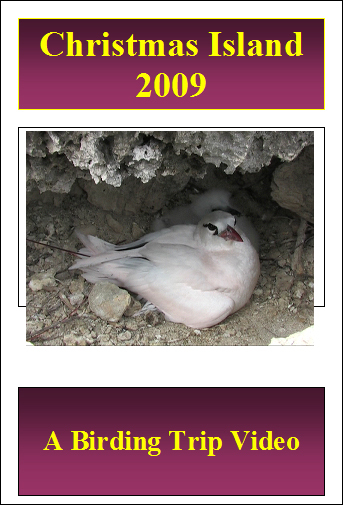 Although this trip was a later in the year, there were still numerous birds to be seen. I saw 215 species, 116 of which are featured on this dvd. 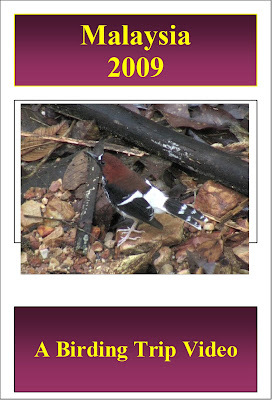 This dvd is presented as a site by site guide to the birds that I captured on video at each site. Sites included are the Marinha Dourada area, Arpora Hill, Baga Hill, Baga Fields, Backwoods Camp and surrounding areas in the Western Ghats, Carambolim Lake, Mayem Lake, Dona Paula, Saligao Zor, Morjim Beach and the Zuari River. The following video link shows the opening titles of the above DVD, followed by some examples of footage.